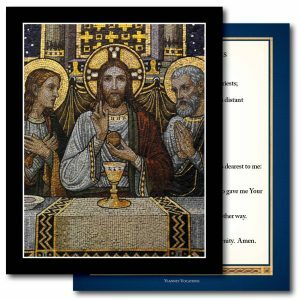 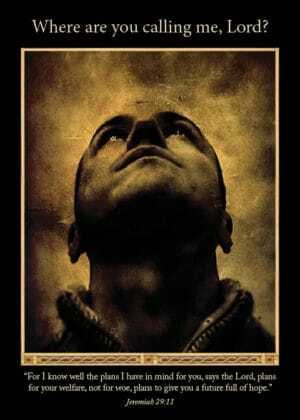 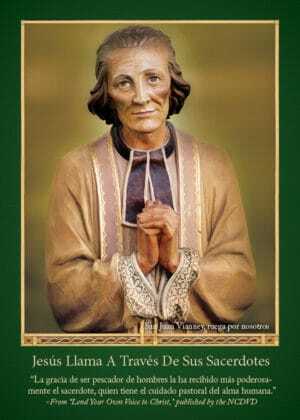 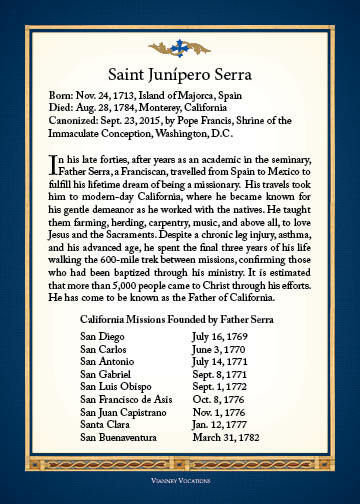 5″x7″ card honoring Saint Junipero Serra, with a prayer for vocations on the front and a bio of the saint on the back. 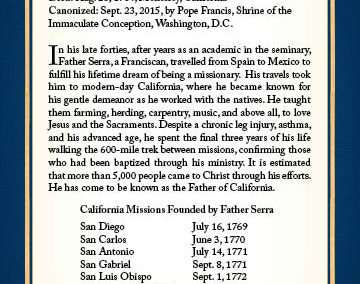 5″x7″ card honoring Saint Junipero Serra, the “Father of California” who was canonized by Pope Francis on September 23, 2015, in Washington DC. 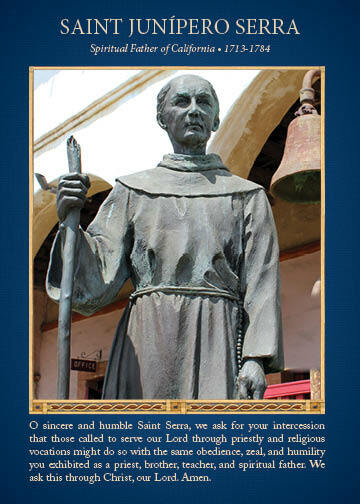 The front features an iconic statue of the saint, and the reverse has a brief biography and a list of the missions he founded, such as San Diego and San Juan Capistrano.